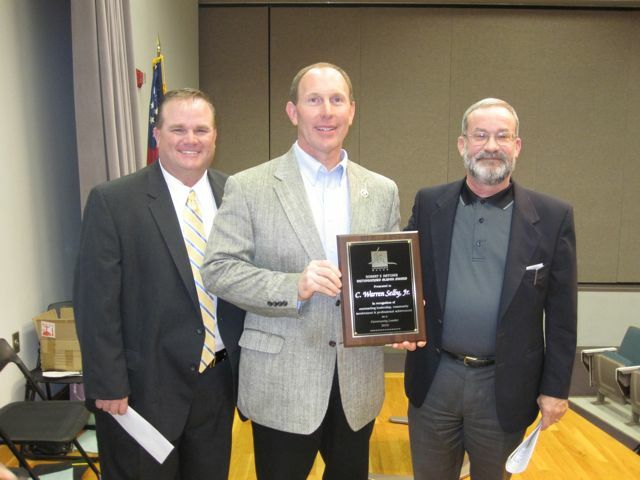 2010 Robert F. Hatcher Award recipient Warren Selby, center, with 2010 Leadership Macon Board Chair Leonard Bevill, left, and 2009 Robert F. Hatcher Award recipient Bruce Gerwig, right. 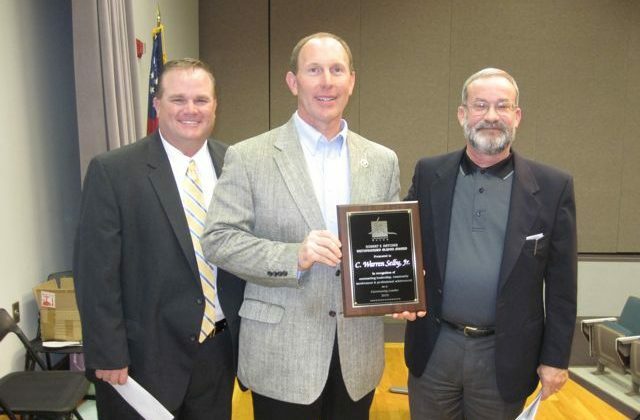 Warren Selby was the recipient of the 2010 Robert F. Hatcher Award at the graduation ceremony of the Leadership Macon Class of 2010. The Robert F. Hatcher Award is presented annually in honor of Bob Hatcher, one of the founders of Leadership Macon, to a member who has demonstrated exceptional leadership, community involvement, and professional achievement. Warren is a graduate of the Leadership Macon Class of 1988.